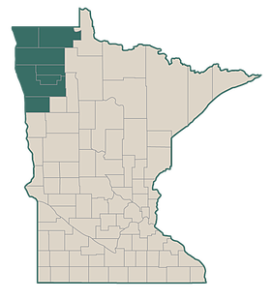 Northwest Minnesota offers opportunities to find quiet wilderness, fun sporting events, exciting entertainment and the bright lights of regional trade centers within a reasonable travel distance. You can plan a weekend of relaxed camping in a small town setting and yet have access to some of the Midwest’s best shopping areas. Wildlife preserves with moose, deer and elk are only a few miles from the finest golf courses around. The natural terrain includes lakes, rivers, forest, prairie and everything in between. You can find crowds of people in the more popular spots but there are also places where peaceful solitude is the only description. City tourism-related information for the above seven counties is also available: Ada, Alvarado, Argyle, Badger, Beltrami, Borup, Brooks, Climax, Crookston, Donaldson, East Grand Forks, Erskine, Fertile, Flom, Fisher, Fosston, Gary, Goodridge, Greenbush, Grygla, Gully, Hallock, Halma, Halstad, Hendrum, Holt, Humboldt, Karlstad, Kennedy, Lake Bronson, Lancaster, Lengby, McIntosh, Mentor, Middle River, Newfolden, Nielsville, Oklee, Oslo, Perley, Plummer, Red Lake Falls, Roosevelt, Roseau, Shelly, St. Hilaire, St. Vincent, Stephen, Strandquist, Strathcona, Tabor, Thief River Falls, Trail, Twin Valley, Viking, Warren, Warroad and Winger. Northwest Minnesota is lucky to have multiple tourism groups working hard to promote the fun activities that can be found here. Please visit our Tourism Promotion Groups page for more information. Additional information can also be found on the Routes & Scenic Byways page. The Northwest Minnesota Tourism Directory is a great resource for recreation, attractions, and special events in our Land of the Dancing Sky area. All the information contained with the printed version is also on-line at this web site. Arts and culture is an important part of promoting our area. Northwestern Minnesota has a variety of experiences available to those visitors or residents who look to enrich their stay. Historical museums, galleries, and regular production schedules are listed as well as links to arts calendar listings. Thanks for stopping at Visit Northwest Minnesota!